Grenada’s economy will see a further boost with the creation of some 105 jobs, following the imminent establishment of a state-of-the-art Sales & Marketing Centre for Sandals Resorts International. 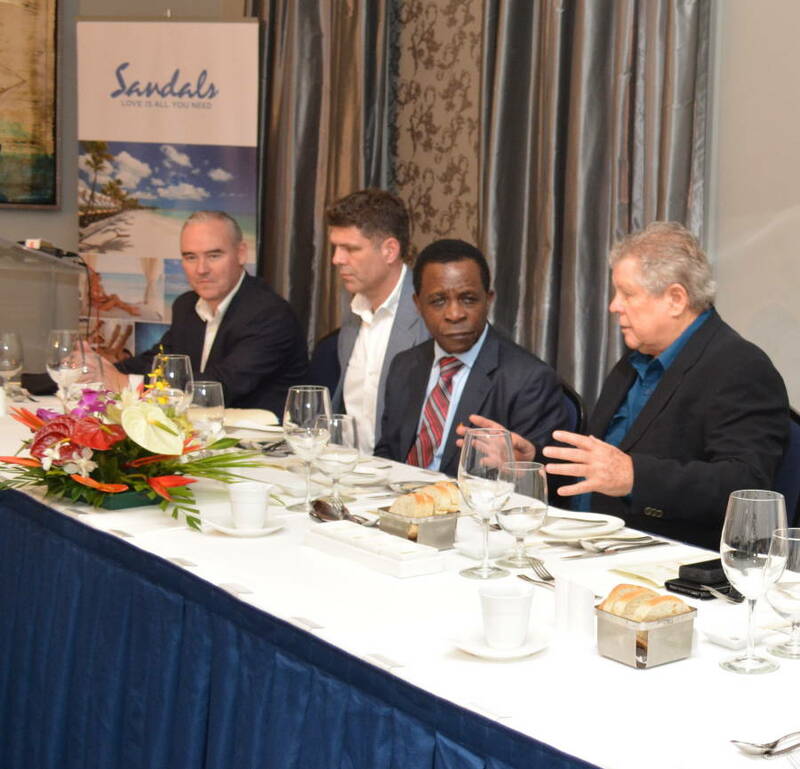 Chairman of Sandals Resorts International, Mr Gordon “Butch” Stewart made the special presentation to a group of private and public stakeholders on this and another significant investment the company will embark upon in Grenada in the coming weeks. Both projects will represent more than US$1.6 million in added investment in the Spice Island. The Sales and Marketing Centre, which will create 105 jobs, will sit on the existing Sandals LaSource grounds and will be complemented by an 8,500 sq. ft Conference Centre. While the projections are not yet final, Mr Stewart approximates the value of the Sales and Marketing Centre’s investment close to US$800,000 for infrastructure alone. Considerable training, he says, will be done with the selected employees on the Sandals brand, making it a significant long-term investment in the people of Grenada. The Conference Centre investment is estimated close to US$850,000. Also addressing the gathering was Mr Sebastian Tickle, charged with the formulation of the project, who indicated that the Sales and Marketing Centre operations are expected to begin by April 2015. Mr Stewart confirmed that the project is expected to begin in approximately 8–10 weeks. The announcement comes almost a year since Sandals LaSource opened its doors on 21 December 2013 and was welcomed by attendees including the Hon. Prime Minister, Dr Keith Mitchell, Minister of Tourism and Civil Aviation–Hon. Yolande Bain Joseph, Minister of Labour–Hon. Elvin Nimrod, Representatives of the Grenada Tourism Authority fellow hoteliers and private sector associates.